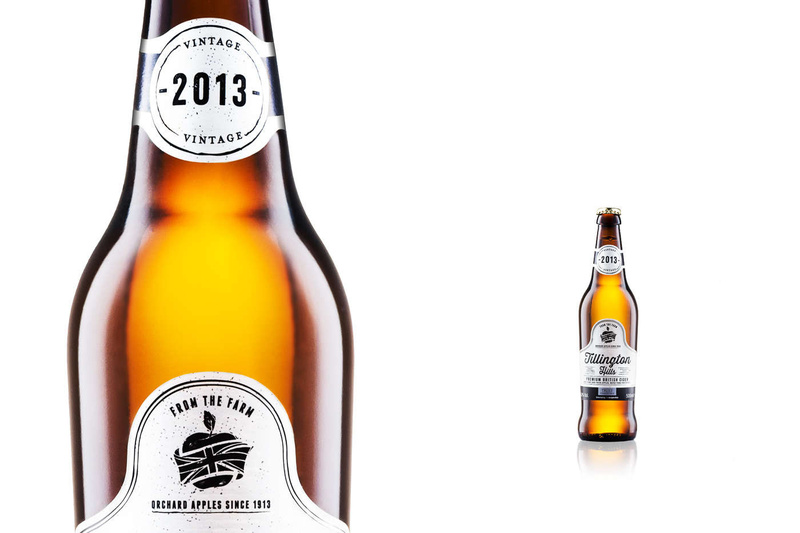 A clean, fresh tasting cider needs a clean and fresh image to sell it! Lighting and gradients captures in camera and cleaned in post. Many thanks Matthias! I guess that was down to their design team on the label! Oh, that's true. After a closer look i can also see them on the smaller bottle. I first thought, these are small droplets but as a part of the logo, they should be there.